Korean designer Yeonsoo Kang recently published this goofy concept design she created for Caseology of a non-functional silicone case for the Apple Watch Series 4. 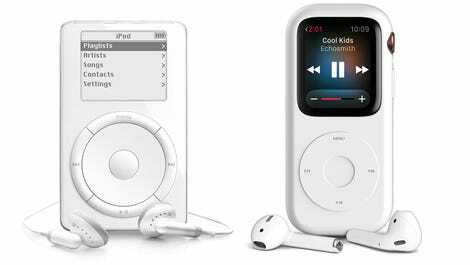 The case turns the wearable into a more pocketable, touchscreen music player that’s reminiscent of Apple’s old click wheel iPod. 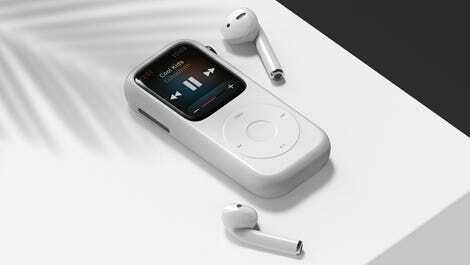 The scroll wheel on the Pod Case doesn’t actually work, it’s just there for aesthetics and nostalgia’s sake, but you can still control music playing off or through the Apple Watch using its touchscreen or a pair of wirelessly connected earbuds like the AirPods.